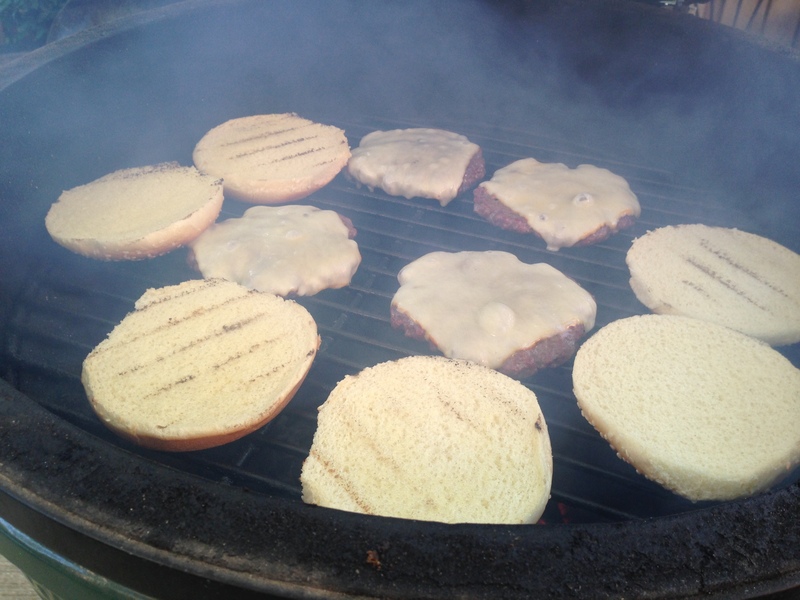 Summer time is all about grilling burgers and dogs. We are deep into spring and summer time is almost upon us.For some, that means pulling out the grill, dusting it off and maybe doing a few repairs to it in order to get ready for the summer. And then there are others, like us, who grill all year round. 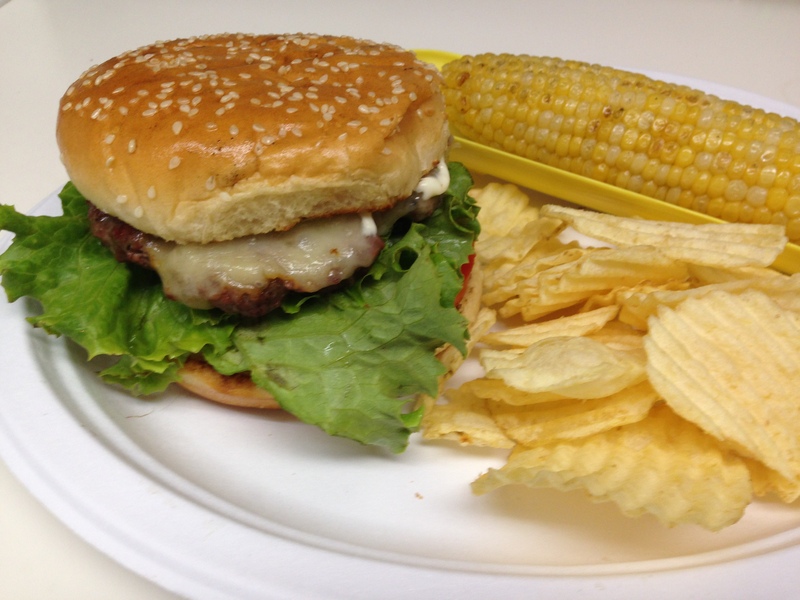 Regardless of which camp you fall into, we all need a good burger recipe that we can fall back on to “WOW” our family and friends. On that note, I present to you…Fish Sauce!! Fish sauce? In a burger? What has this guy been smoking? Yeah, I don’t blame you for thinking those things, but hear me out. For years, I’ve been hearing on the Egghead Forum and on GreenEggers about people using fish sauce in their burgers and absolutely raving about it. Fish sauce brings that umami flavor to your burger. Not sure what umami is? It’s one of the five basic tastes…sweet, sour, bitter, salty and you guessed it umami. Translated, it means “pleasant, savory taste” and what it does to a burger? Trust me…you are going to want to try it and find out for yourself, but I will say that it elevates your burger to that next level and will make your friends think you are some kind of burger genius while at the same time wondering what you did to get your burgers to taste so good. I’ll let you decide if you feel like telling them. One word of caution, do NOT smell the stuff as you are adding it to your burger. It does NOT smell like flowers, but don’t worry. You won’t smell it in your burgers when they are done. Mix together all ingredients together handling the meat as little as possible. Place meat in fridge to chill for a minimum of 30 minutes. So why did I wait so long to try fish sauce in our burgers if I had heard so many people raving about it? Honestly, it was because I couldn’t find it at my local grocery store. It wasn’t until a few months back when we went to an Asian market for some items for a stir fry that we found it. My wife got it for a recipe she was going to make, but I knew it would make it into some burgers in the very near future. I don’t think I will make burgers without it from now on. A few words of caution when using fish sauce. The stuff does smell. I mean it SMELLS. Trust me. You might not want to breathe it in. Fish sauce is also lo-ho-hoaded with sodium. Ours had 1800 mg per Tbsp!! 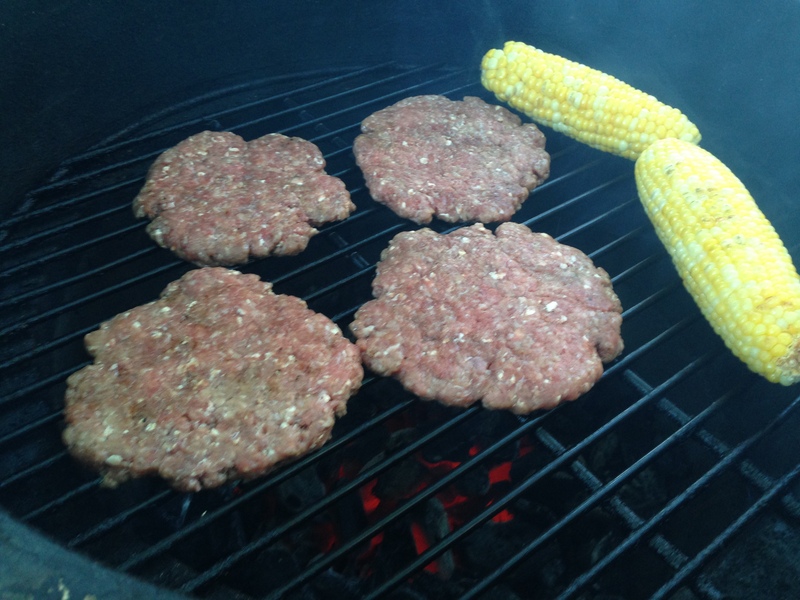 Using 2 tsp per pound of meat and making four patties is going to add an extra 300 mg per burger. But it’s worth it. Trust me. Try it once, you won’t be disappointed. No kidding!? I think I could summon the courage to try this one, however, there is no way I can tell my wife what is in it. It will have to be a covert grilling operation, and let the booty speak for itself. I’m trusting you on this one! I didn’t tell my wife until afterwards either. 😉 No need for them to know all our little secrets. I’m all over this. Have you tried adding it to other ground meat meals? I wonder what it would do to chili or spaghetti? Cool. I have not, Andy, but that is an interesting idea. So far we have just used it for sir frys, pho and these burgers. Might have to give chili or spaghetti a try. Thanks for the suggestion and let me know ho wyou like it in burgers. I like your new digs, bro. I also like that burger. 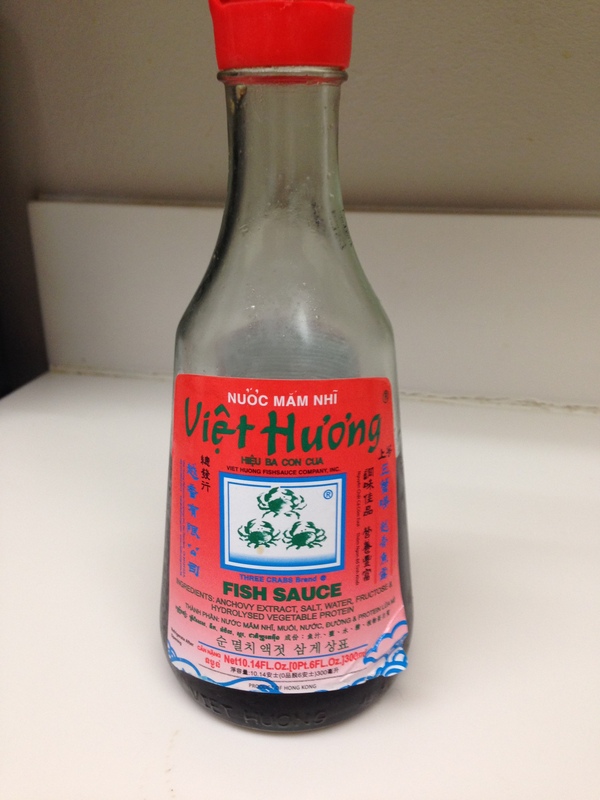 I keep Thai fish sauce on hand (I’ll have to try that Vietnamese stuff that you’ve featured.) Never tried it on a burger, but I do regularly use Tamari (XXXtra strength soy sauce). The funny thing is, the fish sauce and soy sauce fill in a lot of flavor gaps that salt just cannot. Looking forward to giving this a shot. Thanks, Adam. You are totally right about fish sauce and soy sauce. Do you know what the difference is between Thai and Vietnamese fish sauce? Sounds great, I like how it still a simple meat burger, not too many ingredients, plain and simple. I’m ususally a purist when it comes to burgers. Some salt and pepper, maybe garlic powder and a bit or worsey sauce is all I usually use, but I just had to try the fish sauce. I’ll be using it from now on. I’m going to be ALL OVER THIS like a fat guy at a buffet! That is too funny, Sir! Let me know what you think. great post and I totally agree. and she’s got about 20 different burger recipes. Try the Bahn Mi burger that uses ground pork, fish sauce, garlic, etc… also green curry burger. 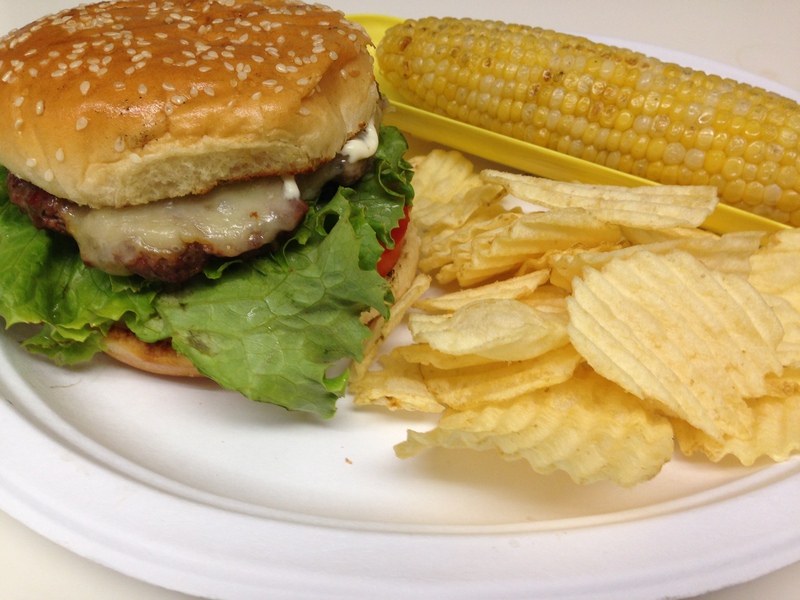 Hands down best burgers I’ve made or had. Best cookbook you can own and almost everything can be made on the Egg.